The above title could well represent the many projects with which are volunteers are engaged – the tasks which they willingly undertake in the course of their volunteering are many and varied. However, this title represents some of the recent events at the Royal Asiatic Society which again are many and varied. But firstly we do want to say a BIG thank you to all the volunteers past and present who have given of their time to work with our collections. 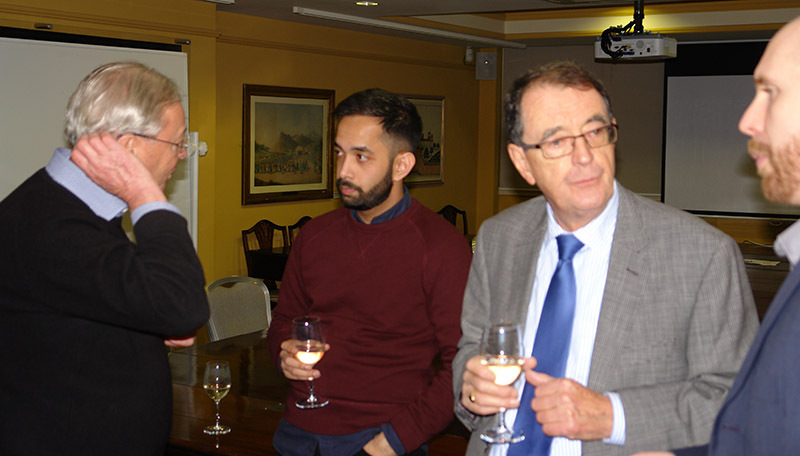 We held a “thank you” evening for them on Friday 1st December and it was a special time in which volunteers and Council members could interact and find out more about each others’ roles. Some of you will recognise Kathy, the former Librarian at the RAS, who though retired is still helping with cataloguing of manuscripts and is always willing to give of her knowledge when we send her a ‘help’ email. Standing in the foreground with her is Roger Parsons, our longest-standing and much appreciated volunteer. Over the years he has worked on many different projects and currently gives of his time in cataloguing library books. 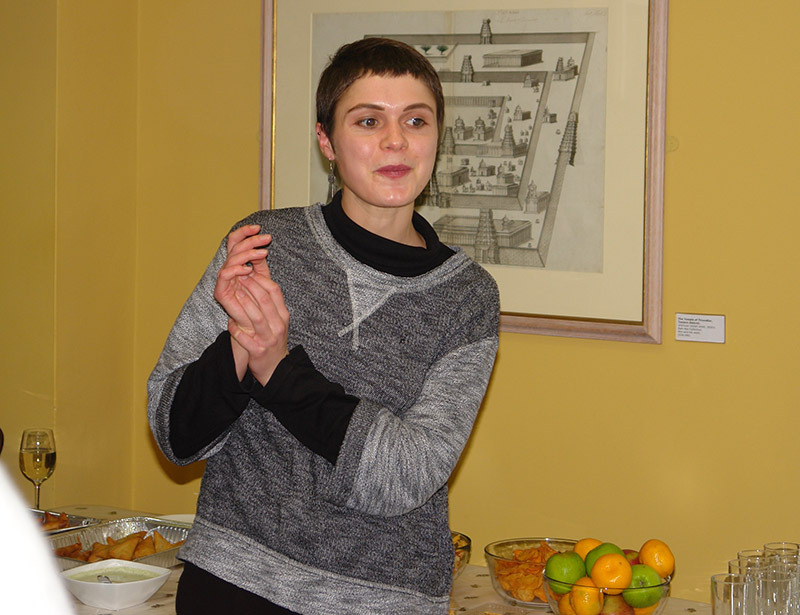 Both current volunteer, Ali Syed, and past MA placement student, Ruby Rees-Sheridan, shared about their projects. Ali is working with the Papers of William Pettigrew who was the first missionary to Manipur. Ruby undertook an audit of our Photographic Collections and began their repackaging and updating details on the Catalogue. Ruby Rees-Sheridan sharing about her placement. We hope that the volunteers all enjoyed the evening – we certainly enjoyed spending time with them away from the Collections and, as we head towards the end of 2016, we would again like to say THANK YOU for all their help. This week, the RAS hosted two different lectures. 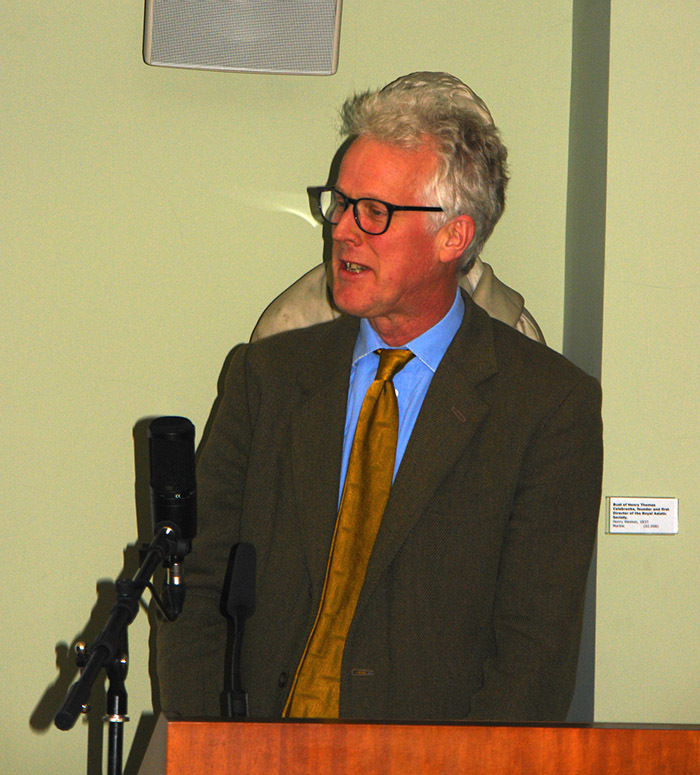 On Tuesday 6th December, Professor Jordan Goodman from UCL spoke about Joseph Banks and his passion for the plants of China. Professor Goodman told of specially constructed glasshouses on board the deck of East India boats, of barrels to keep plants alive, and of plants invading the Captain’s cabin. All these methods were tried to get specimens of plants safely from China to England. On Thursday 8th December Arthur Millner spoke about Damascus Tiles – a lecture very colourfully illustrated with slides of the tiles. Mr Millner took us through a history of the tiles and where they can still be found, with a gentle reminder that many are at risk with the current conflict in the region. 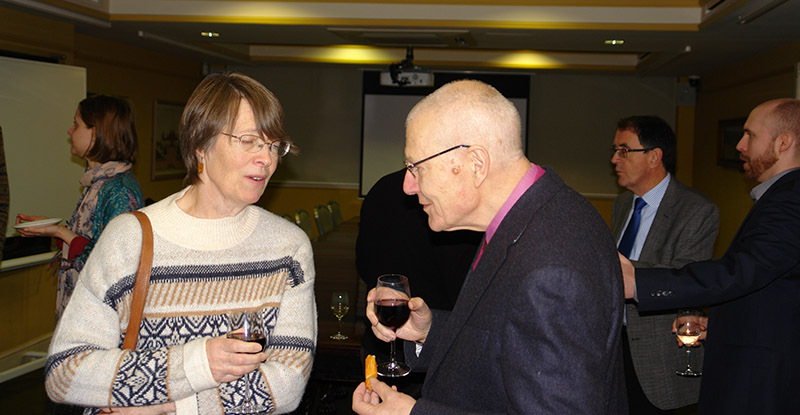 Both lectures were followed with some astute questions and the conversations continued over a glass of wine. We look forward to our final events of 2016 next week. On Monday 12 December at 6.30pm, Frances Wood and Christopher Arnander with launch their book Betrayed Ally: China in the Great War, which examines China’s role in the Great War and subsequent impact on the international stage. And on Wednesday 14th December, also at 6.30pm, Professor Nile Green will lecture on “The Afghan Discovery of Buddha: Archaeology and Nationalism in Pre-Taliban Afghanistan”. We hope that you will find time in the pre-festive rush to join us for these events. We would like to remind you that the last day the RAS Reading Room will be open in 2016 is Friday 16th December. We will then re-open on Friday 6th January.